Our tunics are offered "Ala Carte". 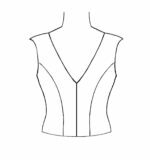 Please combine our body style (Vest) with neckline/ collar, a sleeve, cuff and/ or sleeve cap. Each item is sold separately. 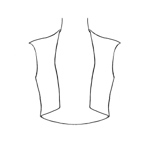 Men’s undecorated tunics may be made to your specifications. 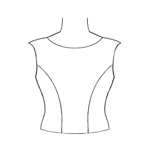 All body styles (vests) and sleeves are lined with twill (except sleeve style “A” & “B”). 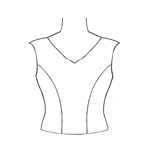 In addition the sleeves are built on to a Nylon Lycra facing for ease of movement (except sleeves “A” & “B”). 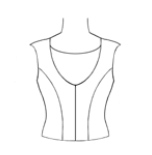 Hooks and bars are included with an instruction sheet for placement and garment care. 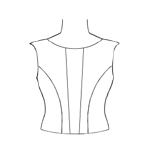 Please select fabric and color choices listed in Color and Fabric Charts.